Water-Wise Landscaping - Save Dallas Water! Water-Wise landscaping, also known as “Xeriscape,” is quality landscaping that conserves water and protects the environment. Using seven common-sense principles, you can create a lush, beautiful landscape that saves time, money and energy and prevents water pollution and water waste. Water-Wise landscaping consists of the following seven principles. Start with a plan. Consider soil type, drainage, water availability and views. Consider how the space will be used—for play, entertaining, gardening, storage, etc. Plan areas for different amounts of water—hand water, frequent water, occasional water and natural rainfall. Develop a plan that can be installed in phases as your budget and time permit. Analyze and improve the soil. To have your soil tested, check with the County Extension Office or your local nursery. Most soil will benefit from adding organic matter such as compost. This will improve drainage, moisture penetration and the capacity of the soil to hold water. Use practical turf areas. Grass usually needs more water than any other part of the landscape. Think about how you will use the area and if grass is the best choice for that area. It may be, but ground covers, shrubs, a deck or a patio may work better in some cases. Select appropriate plants. 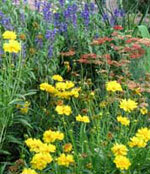 As much as possible, use native or drought-tolerant plants. There are hundreds of beautiful plants that naturally thrive on the amount of rainfall we receive in North Texas, so they rarely need additional water once they are established. But if your favorite plant is a water guzzler, go ahead and use it. Just place it with other water-loving plants. Water efficiently to make every drop count. Watch for signs that plants need water, and water only when it’s necessary. When you do water, water deeply. This will save water and help plants develop healthier root systems, making them more likely to survive hot summers and cold winters. Water early in the morning when the sun is low and the wind is calmer. The most efficient hose-end sprinklers throw large drops of water close to the ground. When you use misting sprinklers or sprinklers that throw water high into the air, the water often evaporates before it hits the ground. Soaker hoses are inexpensive, easy to install and ideal for planting beds. Drip irrigation applies water slowly to the soil directly surrounding plant roots. 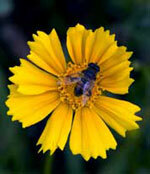 Use two to four inches of organic mulch to conserve water and slow weed growth. Mulches reduce soil water loss and erosion. Some common organic mulches include pine bark, shredded cypress, pecan hulls, cotton seed hulls, composted leaves, shredded cedar and shredded landscape clippings. Maintain appropriately. Water-wise landscapes need less maintenance than traditional landscapes. But please keep in mind that low maintenance does not equal no maintenance. Properly maintained landscapes are hardier and better able to withstand drought, freezing and pest problems. Remove weeds so they don’t compete with other plants for water. Raise the height of the lawn mower so grass blades shade the roots. Fertilize in moderation. Excessive fertilizer increases plants’ water needs and can be washed away by rain, polluting our rivers and streams. Allow grass clippings to remain on the lawn as a natural fertilizer. 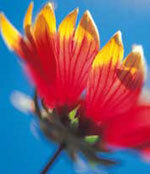 Flowering perennial plants may need frequent pruning to stimulate blooming and keep a neat appearance. Check woody plants, such as trees and shrubs, for pruning needs once a year. Dead, diseased or damaged wood can be removed any time. To learn about native and adapted drought-tolerant plants that do well in the North Texas area, please see our Natural Beauties brochure or go to our Resource Center page for web links. Click here for a list of nurseries specializing in native and adapted drought-tolerant plants; Dallas area designers specializing in Water-Wise landscapes; and books on Water-Wise landscaping. Dallas Water Utilities offers an annual free self-guided tour that demonstrates the beauty of Water-Wise landscaping in Dallas. You can choose your own route and visit as many landscapes as desired. Also, the Dallas County Master Gardeners offers free 30-minute MicroTalks on Water-Wise landscaping at the tour headquarters. Water-Wise Landscape seminars/workshops are offered FREE several times a year to show homeowners how to conserve water in their landscapes and to use native and adapted plants that allow for lush, green, low maintenance landscapes without incurring big water bills. Click here for information on upcoming Water-Wise Landscaping seminars/workshops and other water conservation seminars/workshops.